I make wooden toys for little tots also. This little truck does a lot of work. He is a dump truck, a tractor-trailer, or a camper truck. The change is done with a simple lift off the body and attach another one. This is done with a simple dowel and a hole for the dowel to fit into. 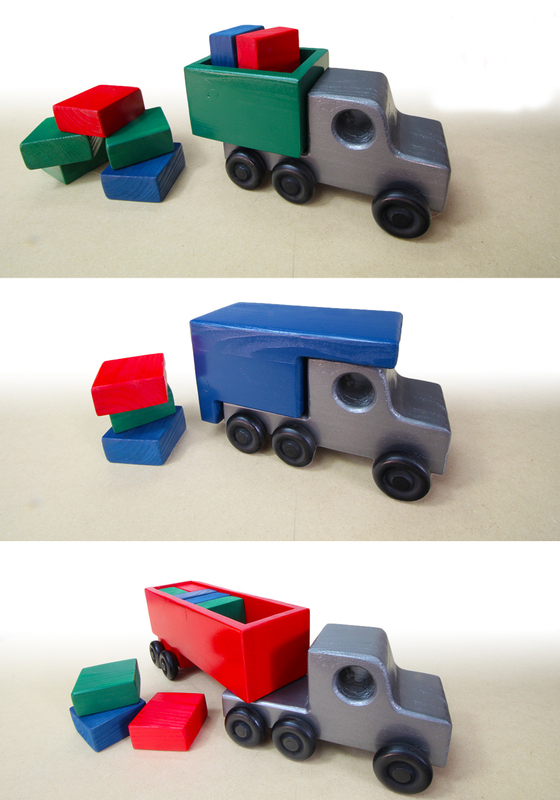 The dump truck body and the trailer are filled with removable colored blocks. You can teach you child colors and also teach them that small blocks fit in the dump truck and larger ones in the trailer. You can also number the blocks to teach the little tyke to count them as they are added. They are painted with non leaded paint and sharp edges are sanded. This little wagon is a blast for little ones to play with. It is filled with different items that have to be stacked in certain ways to get them all back into the wagon. 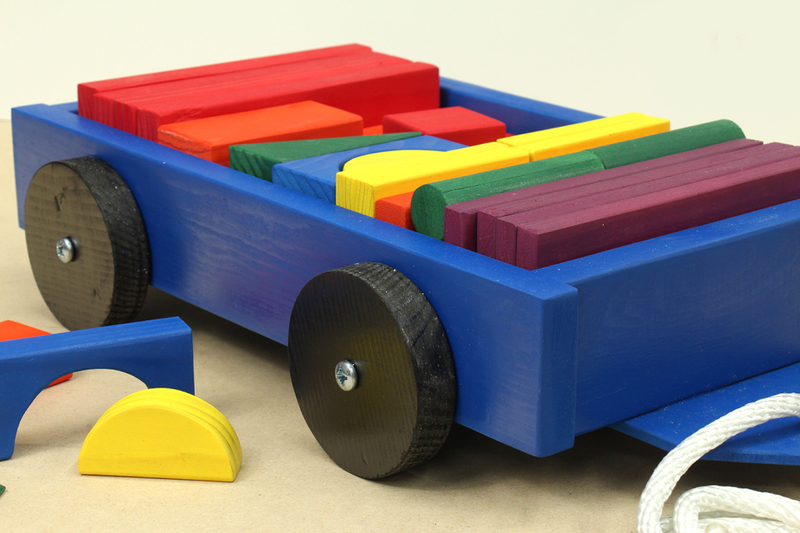 The blocks and dowels are painted with water based paint to teach them different colors and how to insert them into the wagon. It has a pull rope on the front, and the wheels turn to allow them to pull it around. All sharp edges have been reduced to keep them from injury. Of course, I can’t protect them 100%, but do the best I can. I built some of these for Christmas presents and the kids loved them. I put their names on the prow to make them feel like the boat was their own. It has a rubber band that you wind up and then put it into the bath tube or pool. The rubber band unwinds and the paddle pushes the boat across the water. I include 10 extra rubber band so you can keep him/her entertained for hours at a time. 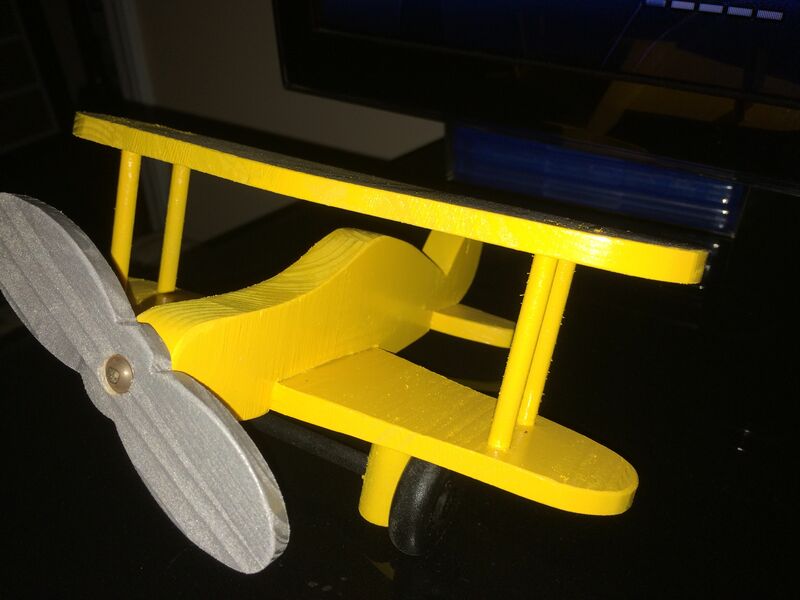 I make single wing and bi-planes for the little ones. Each has rolling wheels and a propeller they can spin. These are more ornamental for children’s rooms than actual toys since they can be broken if thrown about. Many people put them on shelves or hang them from the ceiling. Each is made from recycled wood and painted with non leaded paint. Sharp edges have been sanded.